"It is done, at last... it is done." Hey everyone! Wow, what a month or so it has been. Re-casting Zekk went better than expected and the film, as of today, is officially done and ready to go. The film will be going public THIS FRIDAY. For any of my voice actors; look out for a little surprise coming sooner than that... I cannot express enough how much this means to me, this began as a "what if?" project back in November 2014 and since then the channel has grown to over 1000 subscribers and lots of people excited for the final chapter. I honestly can't convey enough my gratitude for all the support I've received over the past four years and I'm so excited to release this film. It's the biggest and best yet, I've tried to go out with a bang and hit you all in the feels at the same time. Fourteen months worth of work is about to pay off, and I really hope you all like it as much as I do. No film is perfect, but I'd being lying if I said I wasn't proud to round off adapting one of my all-time favourite games with this film. Alright, that's enough boasting for now. If you haven't seen it yet, the theatrical trailer is now out (link below). I really tried to make it as ambitious as possible and give it a modern spin. Looking forward to hearing what you all think on the finished film. @UnusualCharacters, I know I've thanked you a million times but I want to thank you again so, so much for coming on board not only for extra HK lines, but for breathing new life into Zekk and giving him a completely new take. You're the best! I'll post back on Friday when the film is out. For now, enjoy the trailer! ~ DV P.S: Would anyone be interested in a Q&A style video with the cast and crew after the film is released? I posted about this earlier on my status update, reckon it would be a lot of fun. Let me know! *IMPORTANT* Entry 5# - The Prodigal Knight has been delayed indefinitely. The need at all for this blog post blog post brings warm feelings to my heart. We’ve always had a decently-sized community, but we were always kind of under the radar of the modding community. I’ve had people who have known me for years as a modder tell me they were surprised to find out I was involved with the movies as well. But it’s true - I’m one of the animators for the KOTOR Movie Saga. More than ten years ago, I was inspired by the original KOTOR Episode I to make my own projects. I initially made some comics, which I’ve posted about here, and I later started my own movie adaptation of KOTOR II (which I still haven’t finished). The director of Episode I @KOTOR_Trilogysaw the work I was doing there and asked for help with Episode II to do a few things he couldn’t do on the Xbox version. I also worked with him to update Episode II when we screened it at MAGFest, and then we were asked to come back within a year for Episode III. At the time, @DarthYcey was working on his own KOTOR II films and he came on board so we could actually get the film done in time. We now consider his Meetra films as a continuation of the Loganverse trilogy in one shared KOTOR Cinematic Universe, but that’s a whole mess of a story that I won’t get into right now. Anyway, @Jenko also joined us and more recently directed the special edition of Episode I, which just had its birthday last Thursday. So that’s the four of us. Mr Director and his three animators. We’re currently in preproduction on two new projects: Revan, a prequel trilogy set during the Mandalorian Wars, and Heroes of the Old Republic, an anthology webseries of little side stories that wouldn’t fit in the films. Until now, all these goings-on have occurred in the shadows. We never drew any attention on LucasForums. I think I posted Episode III when it came out and nobody replied. If I had to hazard a guess, I’d put it down to LucasForums not having a very active fan media section. There were forums for for it, but not a lot happening in them. People went to the site for mods. On the other hand, a lot of Loganverse fans (myself included) discovered the movies because they were specifically looking for Star Wars fan films or new KOTOR content, and weren’t necessarily interested in modding the game. So there isn’t as much overlap as one might think. Recently, though, I’ve noticed we’ve started to attract more notice - or in more cases, actually, I’ve learned that certain individuals were already aware of the films and just never mentioned it to me (maybe because they didn’t know I was aware of and involved with them). Whatever the case, we’re out in the open now and while it wasn’t a big secret before, I’m now trying to be more open about my involvement and exactly what that entails. And that segue brings us back to the matter at hand. Lately, I’ve seen requests for some material from our films to be released as mods. I want to talk about why that hasn’t happened so much and what you can do to maybe change that. First, I want to point out that not a lot of our stuff would work as mods. The scenes in the films were recorded solely for film purposes and utilize a lot of camera tricks and editing that can’t be done in the game. Most of the scenes aren’t complete in-game cutscenes. Even when I do program an entire scene, I don’t input each specific camera angle in the dialogue file that you’d need to do for a mod. Instead, I record the entire scene from every camera angle and turn the footage into a multi-cam sequence in Adobe Premiere. I do it that way because the game generally forces you to change angles at the start of a line of dialogue, but we don’t always want to do that when editing a film. Mr Director even asked me about this one time - he was wondering if, provided they had all the right files, someone could execute a scene and essentially see the whole movie in the game. And I could probably do that, but it would involve a lot more work than is necessary to make the movie and I’ve only ever done what’s needed for the movie. Unless we specifically plan for a scene to be released as a mod, it’s not a realistic prospect. What’s more eligible for release would be the assets we use to create these scenes - characters, outfits, locations, that sort of thing. And there hasn’t been much of that - yet. We’ve had to hold ourselves back a few times when we thought stuff would be filmed on the Xbox and therefore couldn’t utilize any modded assets. A few times this wasn’t necessary, and if I could redo things with that knowledge, Episode III would look a fair bit different. Canderous wouldn’t wear blue armor and a lot of the characters on Korriban wouldn’t wear officer uniforms. There were only a few cases where we knew we would record on PC and could do whatever we wanted. The earliest such case I recall is the Sith outpost scene early in the film (the one recorded in the Vulkar base). Since Logan had changed so much between films, Mr Director wanted his outfit to change too. We knew that I’d be recording that scene and that Logan would change clothes early in the film, so it wasn’t a problem to give Logan a custom outfit there. I dug through my files and we ended up using a texture I’d made years earlier. Another one that stands out is the Zabrak character Kondor Moderro. I remember making that the night I got back from the Episode II screening. We had a creative meeting in Mr Director's hotel room; he told us his plans for the character and asked if it was possible to add a new alien to K1 since we’d have to record all Moderro's scenes on PC anyway, given that he was a new character. Bastila’s outfit was another addition and in that case it was actually because there wasn’t a mod for it. Again, we knew her scenes would be another PC thing (you can’t use the Xbox freecam during those duels) so Mr Director thought of changing her outfit. He saw something he liked online but the mod was never released, so I came up with an approximation to use for the film. Things have changed since then - from now on, we’re recording everything on PC and the new projects involve new characters and locations that most definitely will involve new assets. But from our past works, only a few isolated bits come to mind. And for those, the most common scenario is that it simply hasn’t occurred to us to release it. As I mentioned before, Mr Director is an Xbox guy, and of the animator trio I’m the only one who has released mods at all. I’ve been on the modding scene as long as I’ve been working on these movies, but the other guys only got into this stuff for the films. So the real question is why JC hasn’t released anything. Again, the usual answer is I didn’t think of it. I’m really bad at releasing things. I have tons and tons of unreleased material - unfinished or abandoned project, things I changed my mind about, or some stuff I just haven’t used yet. Logan’s Episode III outfit was one such case. That was one of a bunch of textures I made back in 2009 and I still haven’t used the others for anything. I have a backlog of useless assets and a lot of it I don’t think is worth releasing. Not necessarily because it’s bad (and a lot of it is) but because of the futility of it. “A bunch of robe recolors I made in 2009” doesn’t sound appealing for a mod. Plus there’s all the work required to test the mod (I don’t get much time to play the games these days) and write up a proper installer so it will be compatible with other mods (I usually manually edit my 2DAs and other files and have a totally garbage build with years of such clutter that barely works for recording purposes) and taking screenshots (I hate taking screenshots) and so on. The mods I actually do release are only released thanks to a focused, concentrated effort to release them instead of letting them sit on one of my hard drives forever. There’s more in there I’ve forgotten than I remember. My incompetence aside, there are a few cases where we’re specifically reluctant to release our assets. It’s not the case for everything, and we likely could be persuaded to release some things, but it’s an ongoing concern for us that our films contain a lot of new content and don’t come across as footage of a 15-year-old video game. We want everything we make for the films to look and feel new, and to release that content, if you could see all the same stuff outside of our films, there’s a risk it could detract from that experience. I don’t feel that way about everything, but I do have mixed feelings. And because I’m not working on these films alone, even if the material in question is something I made on my own, if it’s I made it specifically for one of the films then I wouldn’t feel comfortable releasing it without getting the other guys’ approval first. And even though I think they’d probably say yes for some of it, I haven’t done so because there isn’t anything I’m particularly motivated to release. I made all this stuff for the films, not as mods. That goes for a lot of my own stuff as well. Some assets I have made with several uses in mind, such as my head resource, which end up being used in the films but weren’t made with that specific intent. When tha does come to mind, I do set it aside for release. But most of the time, I’m in one of two mindsets on this. Film, or mod. I don’t usually think of doing two things. If there’s anything from our films that you’d like to see released as a mod, the most proactive thing you can do is let us know. We can only say no on a case by case basis and we have to know what in particular people want released. It’s not like we’re hoarding all our files, but even though we know that generally there’s probably stuff from our films that people would want, we aren’t inclined to upload anything in particular without some nudging first. We gotta know what you want then and you gotta make us let it go. So if you make a mod request for it, then we can address the matter. I couldn’t end this post without a little promotion. 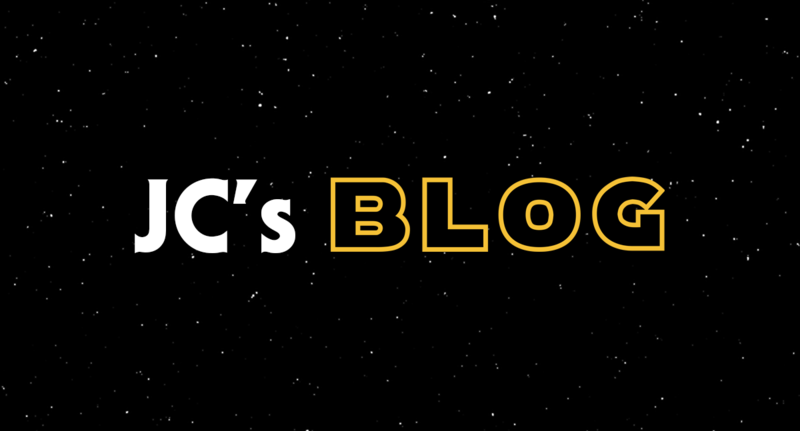 If you want to talk about the movies to us directly, you can join our new discord. And if you’re reading this but you haven’t seen any of our KOTOR movies, the best place to start is with the Episode I: A Familiar Path Special Edition. Entry #4 - "Where's The Prodigal Knight?" "I have no set release date in mind, but I'm looking at Spring/early Summer potentially, though, don't hold me to that!" - Me in my January 2018 blog. Oh boy was I right on the "don't hold me to that" part... So, hey guys! It's been over five months since my last entry, so I thought I'd give you all an in-depth update on TPK, and why it's taking so long. Before I explain I just want to make one thing clear: This project is not dead. It's alive, and you will see it this year, I promise. In March I uploaded a new trailer with a release date of "Spring 2018", as I don't need to tell any of you, that release time came and has now gone. Truthfully, I can't give an exact date yet, this is because I simply don't know, and I really don't want to rush anything. I've been working on this film since June last year, and it's been a very busy twelve months. So starting from the beginning... - June 2017: Legacy of the Sith is released, I go straight into production on TPK. Complete the first 3-5 minutes of the film quite quickly. - Late June 2017 - July: I went on holiday for nearly two weeks, and with also visiting family I was away for pretty much a month. No progress on the film. - Late July - end of August 2017: Resume work on the film, around 25 minutes is complete by the end of August. - September 2017: My first semester of my final year at university starts. Open the flood gates to the hell of third year work. - September - November 2017: Consistently balance working on the film and uni work. - November to December 2017: Our film shoot at uni starts, 12 hour exhaustive days. I go straight into the edit of that film after. Still find some time to work on the film. Just arriving on Malachor V. - End of December 2017 - Semester ends! I have about an hour of the film done. First teaser trailer released on Christmas Eve. Go home for Christmas, eat a lot of food. - January 2018 - Return to uni and film work. - February to April 2018: Film work slows down, waiting on lines from actors and my uni work ramping up. I have another film and a 10,000 word dissertation ahead of me all due by May. - April 2018: Film shoot begins. 12-14 hour days shooting, the most exhausting few days of my life. Straight into edit after, deadline is not far away. I also finish my dissertation in this period. - May 2018: All deadlines are handed in. By this point, I have not worked on the film in over a month. FINALLY receive some lines from a voice actor. Back to work on the film. I hit around an hour and 25 minutes. - Late May 2018: Officially wrap SHOOTING on TPK. Begin working on promotional material whilst I wait for lines. - June 2018: As of now, the film is done EXCEPT for lines from voice actors. Every After Effects shot, colour grade, part of the sound mix, etc. is done. All I have to do on my end is plug the lines in when I get them and create the credits sequence. So that's where I am at. As you can see, I have been incredibly busy, but, I've tried my hardest to work on the film where I can. I really can't wait for it to be done so I can start releasing the promotional material (got a couple of nice surprises planned) and then the film itself. If all goes well, and I receive all the lines by the end of July, then the film will be out for AUGUST. But, again, don't hold me to that. Thank you all for bearing with me through this, I promise it'll be worth the wait! Want even more proof it's nearly done? Here's a screen shot from my final mix timeline, once I receive the lines from my actors the next 30-40 mins will be exported and join this timeline below to fill in the gaps. (The film has been edited slightly out of sequence): TL;DR: It's nearly done minus lines from actors. I’m glad to be able to talk about porting. It’s not the subject itself that I find as mysterious and alluring as some forumites seem to, but it’s been such a taboo topic for so long that I find it refreshing to be able to talk about everything I’ve been repressing. Porting content from one game to another within the same series (e.g. Star Wars: Knights of the Old Republic to Star Wars: Knights of the Old Republic II - The Sith Lords) is now allowed on Deadly Stream. Because I’m allegedly “staff”, I was told about the change of policy a couple days before the official announcement, and I was shocked. I’m still shocked. Honestly, it feels weird discussing the topic even now. Not in a bad way - like I said, it’s rather liberating - but in an I’m still having trouble believing this is a thing sort of way. This would’ve been my tenth anniversary on LucasForums, if it were still online, and I was on the FileFront forums for a bit before that. Porting was always banned and I don’t remember when it wasn’t. When Deadly Stream went online, it maintained the same rules, and now that’s changing. It’s a shift in policy older than this website, put in place before many users here even played the games. It’s a surprise, to be sure - and I expect a welcome one for many. Given the nature of this modding website, I expect anyone reading this likely knows well enough about porting, but not everyone is a modder or PC gamer and I have been asked before what porting is and why it’s a big deal. Porting is taking copyrighted content - models, textures, music, or what have you - from one game and putting it into a different game. It’s a kind of modding, but the distinction is that regular old modding works within the confines of whatever game is being modded, editing the existing assets and/or adding new content created by the modder, while porting involves something that wasn’t in the game and that the modder doesn’t have the rights to. Why is this a big deal? It isn’t in some communities. Different sites have different rules, and some do allow it. But it wasn’t allowed in the KOTOR community until now, though I feel I need to add a qualifier to that. It was kind of unclear. 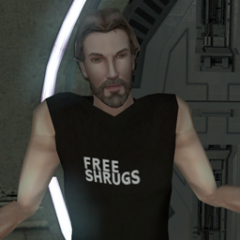 Porting was certainly against the rules on LucasForums, and with LucasForums went the KOTOR community. While I was a reviewer for KOTORFiles part of my job was to make sure the mods I reviewed didn’t have anything that wasn’t allowed. We were, for example, instructed to be on the lookout for TSLRP when the beta was leaked. If you were to ask me if porting were allowed I think I’d say no, but I don’t think that was an actual FileFront rule. 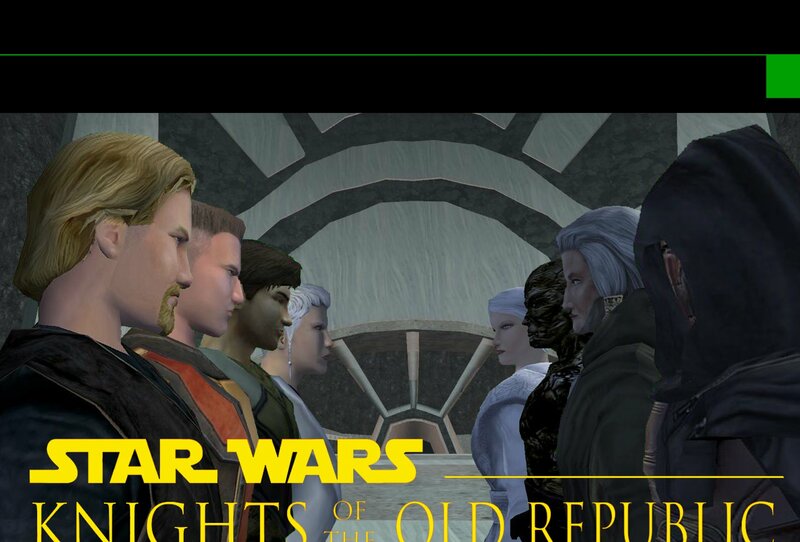 JK3Files hosted mods that ported content from Jedi Outcast to Jedi Academy. There were also a few KOTOR mods I suspected of ported content - textures I recognized from Jedi Academy, for example - as well as mods that included other copyrighted material like music and sound effects. Fortunately, though, nothing ever came under my review that called for an examination of the laws of porting. To further complicate matters, the official release of MDLOps - still hosted on StarWarsKnights.com - contains a tutorial on how to port the Tenloss disruptor rifle from Jedi Outcast/Academy to KOTOR. Bit of a mixed message there. Regardless, on LucasForums porting was certainly verboten. But for a long time, this was a moot point. There was a lot in the modding realm we couldn’t do. Until a few years ago, we couldn’t work much with head models - the animations would break, or something worse would happen. And unless you used Taina's Replacer, which didn't allow change in vertices, the smoothing would break. Even if you could get a model from point A to point B, it wouldn’t look as nice as it did back at A. Different tools could only handle different things. KAurora couldn’t do animations. MDLOps couldn’t convert lights or lightmaps, emitters, or walkmeshes. I don't know if room animations didn't work or if nobody ever tried it. All these things and more would break even if you were keeping a model in the same game. Most of these issues were only resolved last year with the development of KOTORMax, MDLEdit, and the updated MDLOps. For this reason, perhaps, porting as a reality was a rare concern. Only two cases from those days stand out in my memory, both of which involved screenshots taken in K1 to make textures in K2, and both of which deemed ok by the administration. On Deadly Stream, there was that fiasco with the credits. More often than not, the matter was merely theoretical - someone would unknowingly request something that required porting and be shot down for it. It was forbidden as a theory even though it wasn’t much of a possibility and I don’t know why. It was a rule from before even my time and I’ve never heard the issue properly debated. Porting wasn’t allowed, and you weren’t allowed to talk about why it wasn’t allowed. I find that a bit unsatisfying, so I’ll try to see things from both sides of the issue and debate myself. Argument A: Porting is a copyright violation. It’s taking something that’s not yours and distributing it without the copyright owner’s permission. In more extreme cases, publishers have moved to shut down mod projects/websites for fear of losing sales, such as with conversion mods that would remake a game in another engine. Modding as a whole is already on shaky legal ground, so it’s not wise to attract that sort of bad attention. The line is drawn here. Argument B: Porting isn’t anything like pirating a game because it involves a fraction of the content and requires the framework of a game to access it. It’s unlikely that any mod would negatively affect a game’s sales. If anything, more mods for a game is a good thing and content ported from one game to another draws interest in both. There’s nothing illegal about porting for personal use. The only part in question is the distribution of game assets - but that applies equally to all mods. The only difference is from which game the assets originated. It doesn’t make sense to apply a different standard of rules, especially for games in the same series that already share a lot of assets, like KOTOR. Those are the essential arguments, as I see them. At the risk of earning Kreia’s wrath, I’m not going to take a side. This is a bit of a coward’s way out that I can take because I’m a modder and I can port stuff myself if I want to and not rely on downloading it from Deadly Stream - more on that in a bit - but that really is how I feel. I don’t see it as a matter of what’s right or wrong or what’s legal but rather what you think is a good idea and how much of a risk you want to take. Some communities take a risk and never have any trouble. Some - not many, but some - have taken the same risk and had their mods taken away. It’s a subjective matter, and maybe that’s why I’m a little bitter about the LucasForums days - because I see it more as a decision we should make as a community rather than an ultimatum that must never be questioned (even if most of us don’t know who made the decision or the rationale). But whether or not it was entirely by choice, that was what the community decided and I went along with it. That was then, this is now. It seems the community has gone in the other direction, and I’ll go along with it. The question has become not what is allowed but what is and isn’t possible. I imagine, in the coming days, as more people ask this question there will be some poking and prodding to explore the new horizons. So I thought I’d save anyone reading this a bit of time by admitting that I’ve known how to do a lot of naughty things for a while now. I’ve been porting for personal use - not to make mods, but for my film projects that demanded it. Characters from different games interacting with each other, locations we wanted to use in another context, or just things that were useful for cinematic purposes - K2 has a lot more animations than K1. I’ve already been poking and prodding for years now and I no longer feel the need to hide it. I’m not going to go into much technical detail yet - perhaps when the modding wiki is online, if it's permitted - but I can answer some general questions right now. For K1/K2: Can we port head models? Yes. There is some difference in the bone structure for each game, but there’s a specific process that works. It’s not even a huge difference, but it makes the lips of K1 heads clip in K2 and leaves K2 mouths gaping open in K1. My guess is Obsidian changed things during their development of the facial animation system that was never finished. The fix is essentially to copy the skin onto the appropriate game’s set of bones. Can we port body/full body models? Yes. Without any qualifiers. PCs? Party members? Aliens? Really? Yes. What about robes with capes? Yes. The supermodels would have to be edited to include the cape bones and their animations, but it could be done. I had one go at it but it’s a bit shoddy at the moment. Can we port other animations? Yes. With a few caveats. 1.) K1 has a limited number of animations that can be scripted, though new cutscene animations are an option. 2.) K2 has more combat animations than K1 and under different names. A couple bugs in K2 stem from failure to account for this, and unless they’re named properly for K1 the same sort of problem would occur. 3.) K2 has a ton of other new animations and they’re added all over the place, which complicates any sort of porting. Can we port models with their own special animations, like Darth Nihilus? Yes. The same animation concerns apply, but that’s it. Can we port textures - fancy ones, like bump maps and ones with animations? Yes. The TPC format doesn’t change, so even in the event that we’re unable to properly decompile to TGA/TXI, simply copying over the TPC is enough. I have a texture archive for K2 that includes all of K1’s textures (and any that happen to share the same file names are overridden by the K2 versions). Can we port areas? Probably. I’ve had one definitive success - m14aa, the Jedi enclave courtyard - and a few partial successes or failures. But it’s still early days and I suspect the problems may have been procedural. The courtyard has grass, running water, and room animations - all the things I’d expect to go wrong first - and zero problems. Lightmaps, which used to be destroyed during ASCII conversion, load fine thanks to the new tools. There is a difference in how each game is lit, so a ported module may end up too bright or too dark, but that can be fixed in the .are file. Good signs so far, but not enough for me to be confident in a hard yes yet. While we’re on the subject, since some of you seem to have been left out of the loop, we can also edit areas now. You might’ve seen area fixes in recent mods, but I’m talking full on editing like changing the lighting or texture mapping or adding a door to a new module. This would come in handy, for example, if one wanted to make new area mods that connect to the existing game, or integrate cut ones like the Czerka warehouse, or restore modules on Dantooine or Korriban that were left out of K2. Can we port feats/lightsaber forms/prestige classes/the upgrade system/the level cap/everything hard-coded? No. These were never porting issues. These game mechanics run directly through the game’s executable rather than an external file that we can mod. For the MMO: Can we port items? Yes. See MDLOps’ tutorial. Can we port vehicles? Yes. I ported the Mantis bounty hunter ship to K1 as part of an area model on Taris. I stripped it of its bump maps because I didn’t know how to work with those at the time, but I imagine if we could figure out how to convert the formats those could be included as well. Can we port character models? Probably. But you’d have to weight it to KOTOR’s set of bones, which isn’t easy or fun work. That’s kind of why there aren’t a lot of new character mods at all for KOTOR. I’m not at all familiar with how the MMO models are set up so I can’t comment further. Can we port areas? Maybe? I can import the models into 3ds Max. To get one in KOTOR would be a lot of work - making new lightmaps and walkmeshes, replacing any emitters like running water with KOTOR standards, almost as much work as making a new area from scratch - but I don’t see why it wouldn’t be possible. Of course, KOTOR has issues with vertical space - can’t have one walkmesh on top of another - so there may be issues with the designs, depending on the area. But I don’t think poly count or anything like that would be a problem. The MMO seems to average around KOTOR’s level, some things better, some worse. I really just haven’t had the time to try it yet. These are all just my general impressions so far and your individual success may vary. But overall I'd say there’s a lot we can do and not a lot we can’t do - just a lot we weren’t supposed to do until now. The point of this blog isn’t to encourage porting, exactly. It’s your choice whether to do it or not. Because of the rules (the old rules) I’ve always strived to use assets that are in both games wherever possible. It’s more challenging that way, but it almost always resulted in fewer complications. Even with porting allowed, I’ll probably still do that in the future. It's simpler. But now that, surprisingly, after all this time, that is a choice people can make, I want to put this information out there so those of you who are interested in stepping down this path may do as you choose. I’ll be available on Discord if anyone wants to see some more examples of my porting attempts or get a more thorough overview of the process. Personal opinions not endorsed by FileFront Deadly Stream.